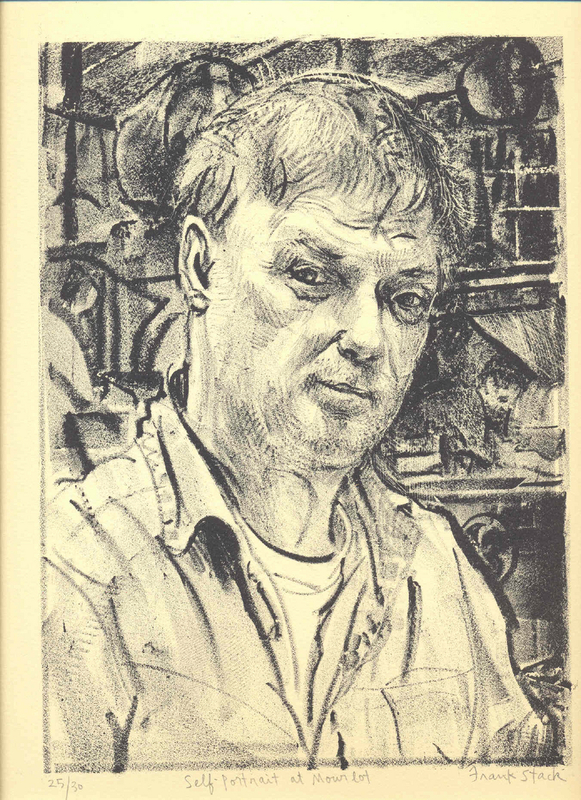 This original hand-pulled, pencil-signed lithograph represents a self-portrait of the artist Frank Stack. Created in France, this is a limited edition of only 30. Using the old-master technique of lithography (invented in the 18th century) the artist creates layers of value that result in a tonal image with painterly qualities. Image size: 10.5" x 7.75". Sheet size 14.5" x 9.5".